It feels like there hasn’t been a lot of ‘making’ going on around here. As I try to deal with the more mundane (but necessary) aspects of running a business, I’m trying to focus on completing some of the dozen projects that are in my unfinished pile. I can at least get some quick creative satisfaction this way, if I’m not able to start the bazillion projects I’d much rather be working on. 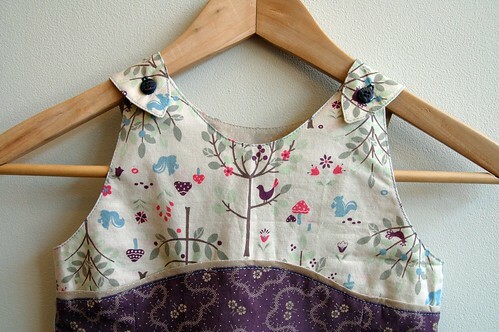 This Oliver + S Tea Party Sundress is almost done. I just have to make the cute bloomers to go with it. Do three year-olds need bloomers? It’s a gift for a little girl who will be three this summer. I hope it fits her. This is the first piece of clothing that I have made for someone else. To be honest, it feels a bit weird. I wish it was larger and actually a cute smock top for myself. It looks like it just might be, but it’s definitely too small. 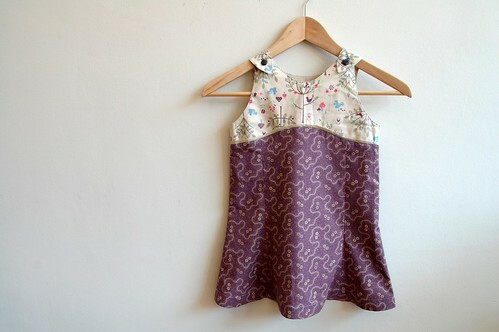 I’ve been meaning to test out the Oliver + S patterns for some time, but I don’t really know too many little girls and I prefer to make girlie clothes. I was happy to take the Children’s Playsuit/dress class with Reva. Sometimes you just need to take a class to get a project going. What a fun pattern to make! 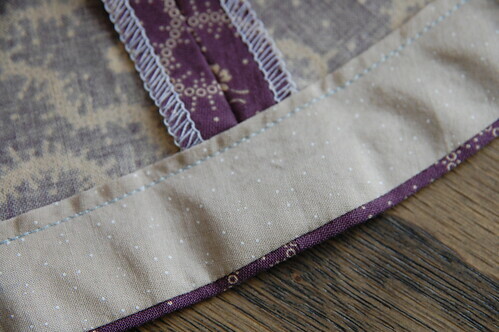 All the sweet details that Liesl puts into her patterns make her clothing extra special. I especially love the piping along the yoke and the facing on the skirt hem. It’s a nice touch that I plan on using on a future garment that I make for myself. In the end I really liked how all the little boy playsuits turned out. So I might try out one of the boy patterns soon for some of the little boys I know. I recently bought Sugar City’s Village Frock pattern. It’s for little girls, but I love it, so I’m trying to grade it up to my size. It might seem a bit crazy, but just think how cute it will be if it works out! I’ll let you know how that goes. karyn!!! that village frock pattern is ridiculously cute. love it! It looks beautiful! 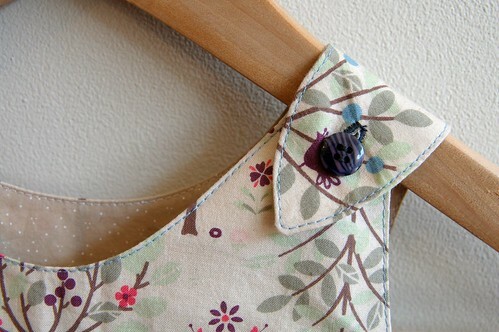 I absolutely love Liesl’s patterns and have made almost every single one. Our girls are spoiled!! A three year old can totally wear bloomers! Just make sure the elastic is loose enough around the legs. Oh so pretty! Yes, three year olds definitely need bloomers. A proper lady NEVER shows her bottoms!!! yaman! i agree with that village frock pattern, super super cute. kids clothing are absolutely the best, if you know how to upsize, i am so down on making them to adult size. those boy playsuits are cute for a little girl too. in girly fabrics of course. a lot more practical for playing outside in the summertime. feel free to make dresses for my daughter, she would be thrilled since her crafting mother is not the best at projects at the moment. nicely assembled and good inspiration for me to kick my but into some progress on the frock front. wow! i guess i had totally forgotten how the only thing i wanted to do when i was three years old was somersaults all over the place. yes, bloomers are a must! thank you. JTS – apparently ‘grading up’ is not as simple as adding an inch all the way around. there are special rulers and machines, but i think a simple japanese kids’ pattern is doable/tryable. I love the Oliver + S patterns, too, for their sophisticated details and potential for mixing all sorts of fabrics. Do share or do a tutorial on how to grade up a pattern. Kid clothes envy!